"As Spain's winemaking revolution continues to flourish, one of the next hot spots promises to be Jumilla. Jumilla was one of the few places in Europe spared during the Phylloxera epidemic of the late 1800's. Virtually everywhere on the continent, vineyards were devastated and, to this day, can only be planted on grafted hybrid-American rootstock. For Jumilla, the key to its vineyards' survival was their sandy soil - which is anathema to the Phylloxera insect. And as a consequence, today Jumilla not only has some of the oldest vines in Spain, but certainly the largest number of ungrafted vines. Most of the region is planted to Mourvèdre, locally know as Monastrell. Jumilla's summers boast hot days and cool nights, resulting in fantastically ripe grapes with good acidity. Bodegas Olivares's vineyards are in the northernmost zone of La Hoya de Santa Ana. 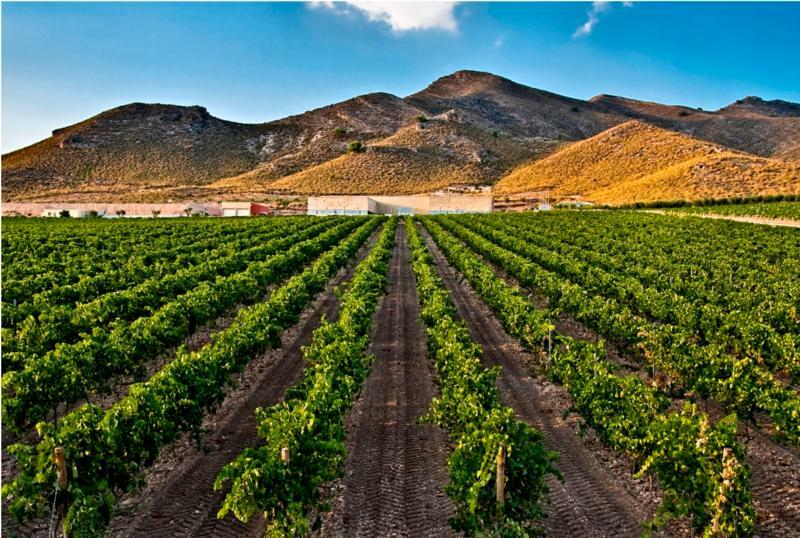 This is the coolest subzone of Jumilla, with sandy, lime-rich soils that produce intensely aromatic wines." Wine Advocate 89 "The 2014 Monastrell Altos de la Hoya is produced from the fruit of dry-farmed, ungrafted, old Monastrell vines and some 5% Garnacha. It fermented with indigenous yeasts in 10,000-liter stainless steel tanks and matured for six to eight months in used barriques and larger oak vats.